A couple from Waterloo were close to missing out on the New Year Windfall. They were lucky to retrieve their winning lottery ticket from the bin for it was worth a sensational £66K. There are many raffles that offer a second chance even though you don’t guess all the lottery ticket numbers. 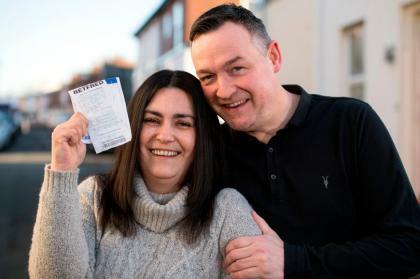 Joanne Joynson, 37 went to buy a Betfred Lottery ticket on New Year’s Eve, only to find out three days later that the lottery ticket was in fact a winner. She rummaged through the bin in search for the lotto receipt. Within minutes, she was at the lotto retailer clutching the piece of paper that would win her the lottery. Her lotto coupon was part of a Betfred 10-week cash giveaway campaign, where all the losing lottery tickets from the past eleven lotto draws would go all into the weekly lot.